One thing that became painfully clear to me in researching and writing The Girl Behind The Door is how much emotional baggage many (but not all) adopted people have, given their early separation. That trauma can sap ones coping skills, ability to self regulate, connection with others and sense of self, to name a few. 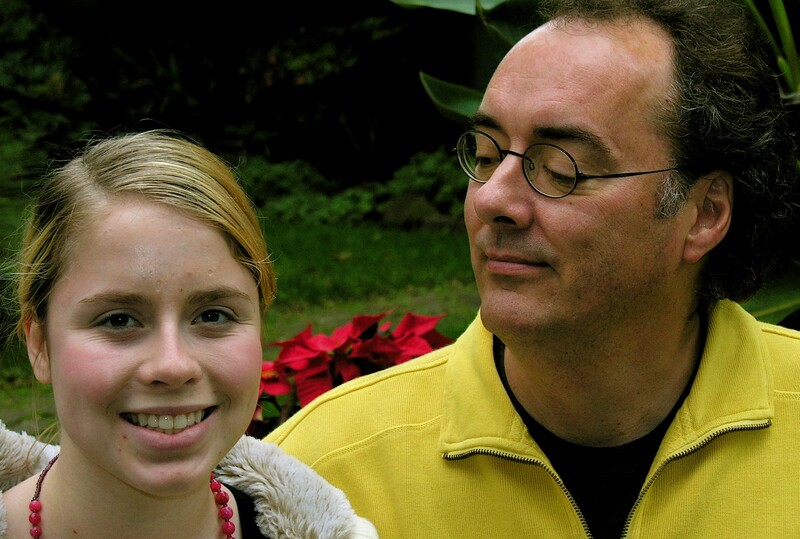 Our 17-year-old daughter Casey, adopted at 14 months from a Polish orphanage, suffered from all of these before she took her life almost ten years ago, and yet my wife and I were utterly oblivious to the root cause – her infancy. We tried therapist after therapist to get help with her emotions and extreme behaviors, but to the professionals she was like any other Marin County teenager acting out: annoying but not necessarily alarming. So they tried treating her behavior (just be tougher with her and she’ll straighten out) without ever getting at the root of the problem that now seems obvious. They all knew about her infancy but no one ever connected the dots. The result was tragic. To make matters worse, when we confronted the so-called professionals post mortem, they seemed more intent on protecting themselves from a malpractice suit than offering any solace. “It was drugs!” her therapist insisted. She impressed upon us that in her 40+ years in practice she’d never had a problem with a “troubled girl” as she put it. So the message was: not my fault, she was a bad girl and you were lousy parents. Same message from a Polish adoption facilitator back east: I’ve had no problems with Polish adoptees, go away. Since my book was published a few years ago I’ve heard from a great many in the adoption community. We were hardly alone in our desperate, and disastrous, attempts to get Casey help. I’ve heard from as far away as Warsaw, Poland and as near as my Bay Area home way too many stories of desperate, lonely people in that triad in crisis. Like us, they couldn’t find the help they needed, but unlike us they knew that their challenges were rooted in the attachment issues that arose from their children’s separation at birth. Some parents have lost their children to suicide as we did; others live in fear of their children’s self-destructive impulses that put them at high risk of harm or worse. They’ve reported to me about their inability to find adoption/attachment professionals, failures of therapy, problems at school where teachers and administrators discipline out of ignorance, even when presented with the facts. In my short experience with my local school district, I’m not surprised at the small-mindedness and lack of creative thinking in high school administrators. Even if an adoptive family finds a qualified adoption specialist, there are additional hurdles. Is that specialist taking new patients? Is it covered under their insurance plan or do they need to shell out hundreds of dollars an hour out of pocket? Will their child connect with that person? If not, are there other alternatives? I wish I had an answer for these desperate families. I don’t. But let me offer this in the hope that it leads a family to the help they need, as imperfect as it is. Check out the Resources page on this blog where I’ve posted every data source I came across in my research and writing. Reach out to adoption groups like the American Adoption Congress and Families For Russian and Ukrainian Adoption. They could be valuable tools for networking. There are a good number of adoption groups on social media (including AAC and FRUA) where you can connect with other parents, swap tips and hopefully make a valuable contact. There are more adoption-oriented podcasts and programs online such as Adoption On that may provide more networking opportunities. Search online in your community and state for any adoption resources. Check out adoption books, as more of them are coming out. Many of these sources either didn’t exist or were unknown to us when Casey was alive, when we could’ve been more effective. It’s understandable to sometimes want to give up from exhaustion and constant dead ends. But I can say from experience that once your child is gone, there’s no hope. P.S. – Sorry I haven’t posted in awhile but after over 100 posts, one tends to run thin on material! I read your list post today and it struck me that this is a familiar story with the families I see. I just had a similar conversation with a family last night as they are looking for the right support. I am a developmental trauma mental health specialist in Idaho and by the time families get referred to me, they are often exhausted and confused. I have been working with others in our community for the past several years to change this for families and we are seeing great success. We are not alone. There are communities all over that are embracing what needs to happen for children from hard places and changing systems. Another resource to add to your list might be looking into TBRI. There are a few treatment modalities out there and I use a few but for adoptive parents, I see so much hope when families explore this. I am linking the list of TBRI practitioners throughout the country. If nothing else, these folks will understand your struggle and may be able to get you to some resources that will help. Thanks so very much! This is great information. It’s mind-boggling how fundamental attachment issues are and how they are not even considered at all levels of therapy, Casey’s of course, but even most general teenage issues should be at least investigated for it, now that we know so much more about it, learned helplessness, depression, etc. The therapists in general are just doing an hourly job, they aren’t out to fix anything, or learn anything new. They just sell their time and try to book as many appointments as possible. The psychiatrists, if you can find one (since it seems much better to sell time at the therapist level) all seem to be pharma-driven. All their bios tout that first, and likewise, that is a very high-ROI route for them to go. It’s literally sociopathic the way we treat ourselves in these cases. It’s so true. It is very hard to find mental health care that is trauma/attachment focused. And help with FASD is hard to come by as well. Thank you for sharing your story. I am so sorry for your loss.